McDonald’s made headlines late last year for consolidating its $800 million-plus advertising business with a new dedicated unit inside Omncom called We Are Unlimited. 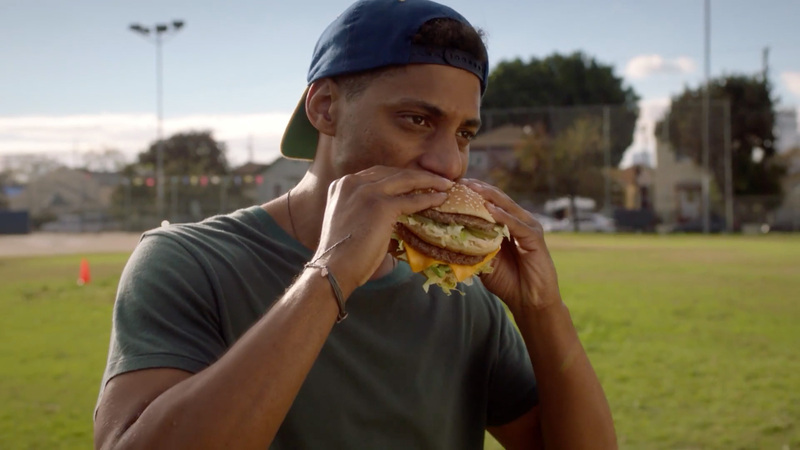 That division’s first campaign for the fast-food giant launched today, and its primary goal is positioning the one and only Big Mac as a sandwich for everyone … no matter your appetite or your circumstance. As you can see in the spot below, line drummers, rock drummers, ballers, boarders and gamers can all agree: There’s a Big Mac for that! Before moving its business to Omnicom, McDonald’s made a big push to promote its All Day Breakfast offering along with former creative lead Leo Burnett, part of Publicis Groupe. Now it’s focusing on the new multi-sized Big Mac. The new work marks a strategic shift focused on reaching consumers where they live, aka every available digital platform. In addition to the national TV ad buy covering the Grammys, Oscars and Super Bowl pre-game, McDonald’s will run versions of this campaign on Snapchat, Facebook, Instagram, Twitter and YouTube. At last year’s Advertising Week, McDonald’s chief marketing officer Deborah Wahl elaborated on the “5,000 pieces of content” strategy embodied by this work and a parallel campaign in which the chain will give away 10,000 bottles of its literal Big Mac secret sauce via live social media video streams. Those averse to change shouldn’t worry, though: While “There’s a Big Mac for That” will appear throughout this campaign, “I’m Lovin’ It” remains the brand’s main tagline. And despite The Onion’s hard-hitting 2014 reports, “Lovin’ Beats Hatin'” has yet to appear in any McDonald’s spots.